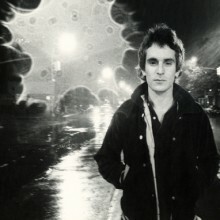 Welcome to the world of 90s Garage Punk, of GUNK PUNK as Eric Davidson might say! This spanish combo released a breathtakin' piece of wax in 1996, called "Abbey Roadkill". Never thought they still exist, but here it is, a brand new rollercoaster ride that beamed be back about 15 - 20 years! "Third album by these brutally punk & rocking band in their unique destroying sound purely Crypt style. Extremelly loud, trashy, punk, rock, rusted, cheesy, rotten and disturbing, the record has been mastered by Mike Mariconda (Raunch Hands/ Devil Dogs) and includes liner notes by Tim Warren (Crypt Records). After releasing their first album on Crypt Records (NYC, USA) and second in Australia, Bang! 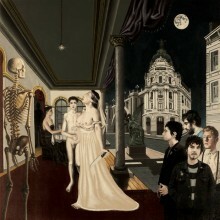 Records is ashamed to release their long delayed and not demanded 3rd album on April 2012. If you're into Cryptical sounds, you'll be as seduced by it as we are!" One of Spain's greatest rock and roll bands, Ilegales, once said, “We are everything you say we are,.. The Italian hurdy-gurdy broke loose! 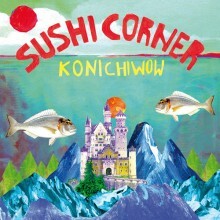 SUSHICORNER is about in any town, could be .. This is music performed with some of the most callous abandon ever to ha.. 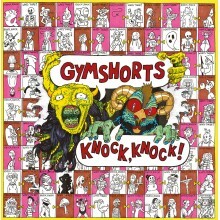 Finally, we this monster is off the leash, the debut album of GYMSHORTS, one of the hardest work..